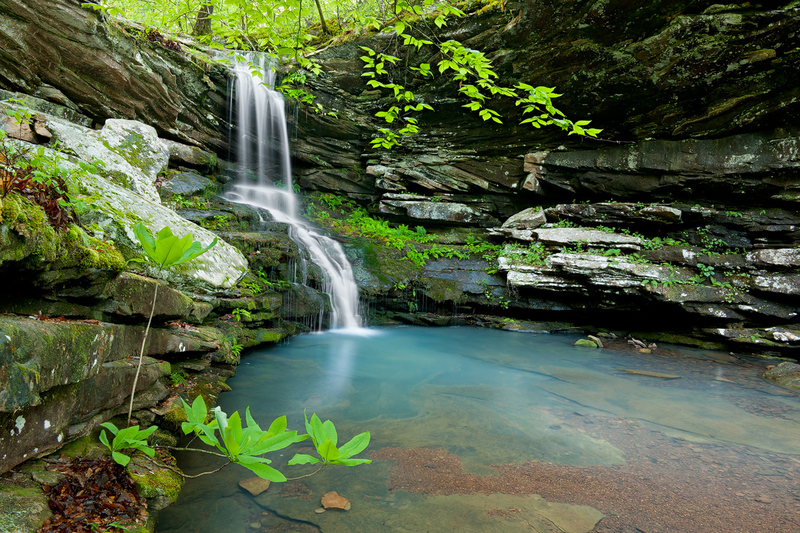 Beautiful turquoise waterfall flows toward the Buffalo River. Arkansas Nature Photography. Photo © copyright by William Dark.